Effective blow drying in comfort and style. 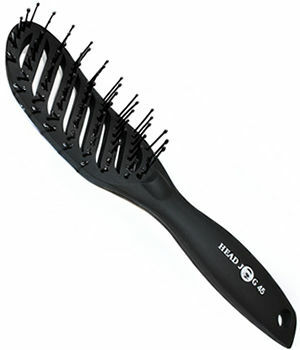 With its ergonomically shaped handle, the Head Jog 45 is designed for comfort and ease of use. It's lightweight, has perfect balance and has its nylon pins spaced wide to ensure hot air can circulate and that hair will dry quicker as a result. £3.98 (inc. VAT) Why no VAT? We're a trade wholesaler and quote our prices without VAT to help our VAT-registered customers understand the true cost of a purchase.